A Balanced Weeknight Meal for the whole family packed with vegetables, anti inflammatory spice and super food. 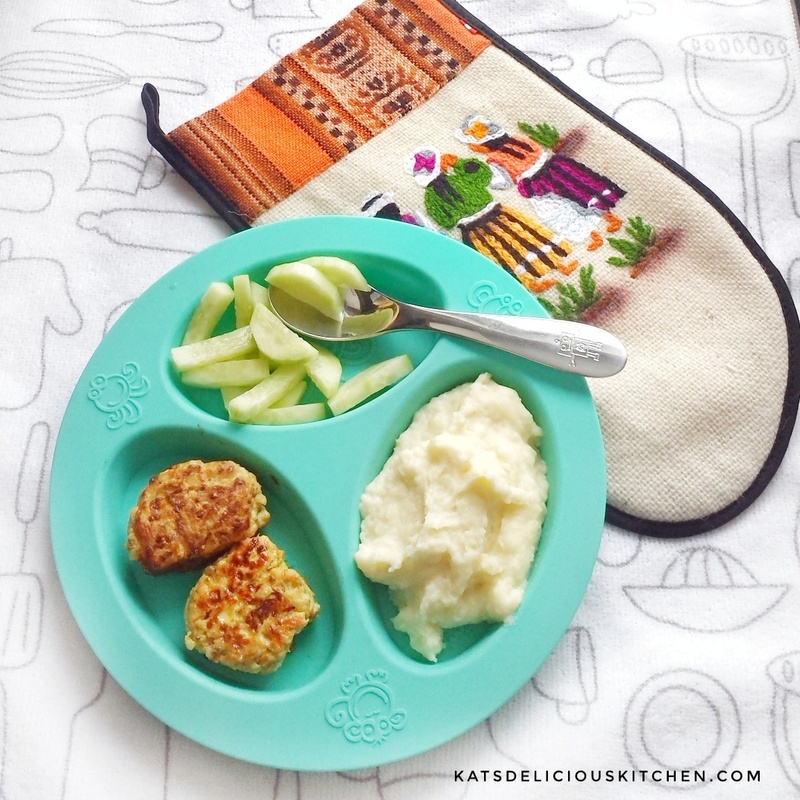 The chicken meatballs are suitable for BLW babies from 8-9 month+ due to the chia seed. The chicken meatballs are egg free as I’ve used chia egg and it worked like real egg! I also didn’t use any breach crumbs. They are packed with carrot, apple and turmeric, really so delicious to munch on! Can you guess how many veggies there are in this meal? They cleaned up their oogaababy divider plates. Finely chopped the chicken breasts or use a food processor to blitz until your desired consistency. Add the rest of the ingredients and use a spoon to mix until well combined. Fry over medium heat until cooked through. Posted on January 20, 2017 March 24, 2017 by deliciouslittlekitchenPosted in Baby 8 months, Baby Led Weaning (BLW) Ideas, Baby_10 months, Baby_11 months, Baby_12 months, Family Meals, Last Stage Weaning, Lunchbox, Toddler & Family Meals, Toddler MealsTagged #babyfood, #babyledweaning #toddlerfood, #kidsfood #chickenmeatballs #familymeals #dinnerideas #lunchideas.